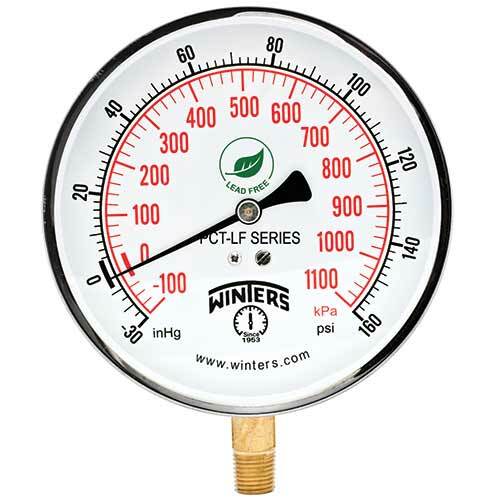 Since 1953, Winters Instruments has been manufacturing quality-built instrumentation for all markets that require pressure and temperature measurement. Through the years, the company has grown in size and reputation and is now a leading, global manufacturer of industrial instrumentation. 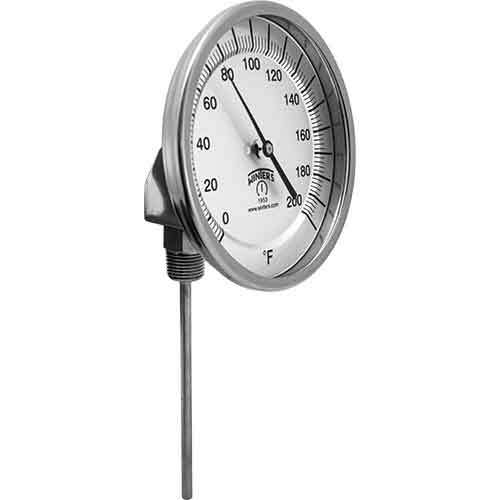 Our comprehensive product lines of pressure gauges, thermometers, diaphragm seals, transmitters, switches and accessories are brought to market by an extensive network of distribution partners and are trusted by some of the world’s most recognized Fortune 500 companies. Winters Instruments currently operates from 9 worldwide offices. In North America alone, Winters operates 3 stocking facilities, enabling distributors to access over $10 million worth of inventory. PCT Series include economical pressure gauges for air, water, and steam services with a 4.5” face and ¼” NPT system connection. 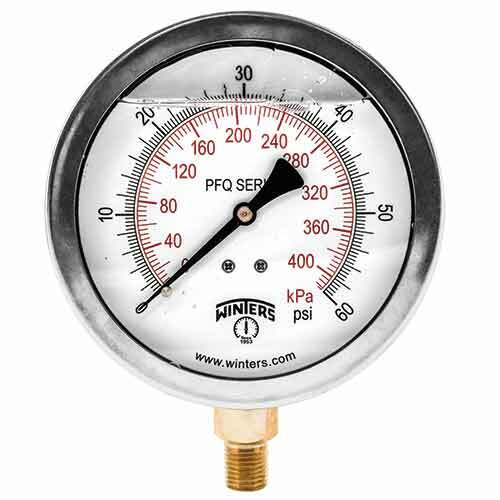 PFQ Series Gauges are ideal for pump applications due to the pulsation-resistant glycerin filling. 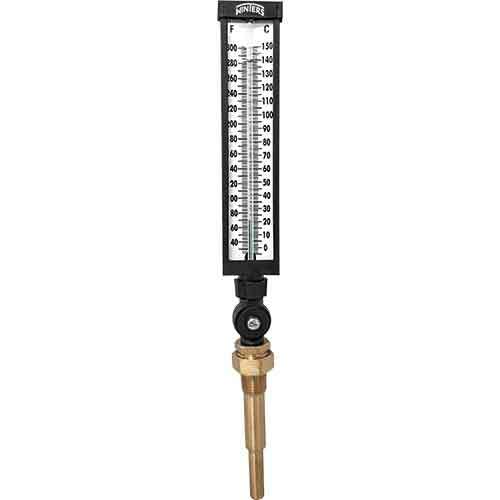 TBM series is a general-purpose stainless-steel thermometer, available with back, bottom or adjustable connections. TIM Series is widely used on plumbing and mechanical water piping and includes a thermowell for installation. 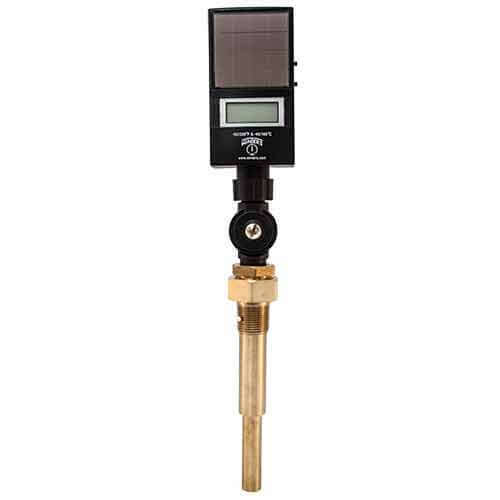 The TSD Series thermometer is used in many plumbing and mechanical piping applications and includes a solar-powered digital readout.